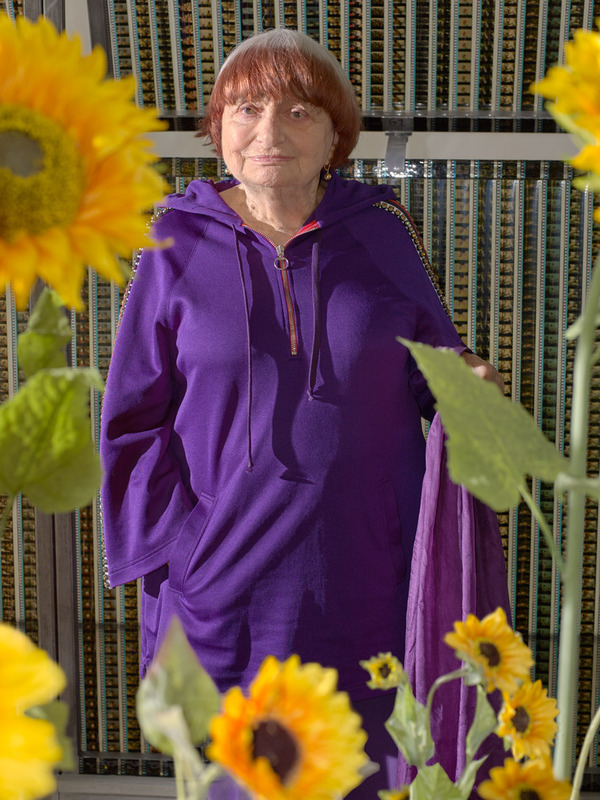 We have just learned the tragic death of the iconic film maker Agnès Varda. In her honor, we’d like to share with you our interview with her from our last cinema issue. 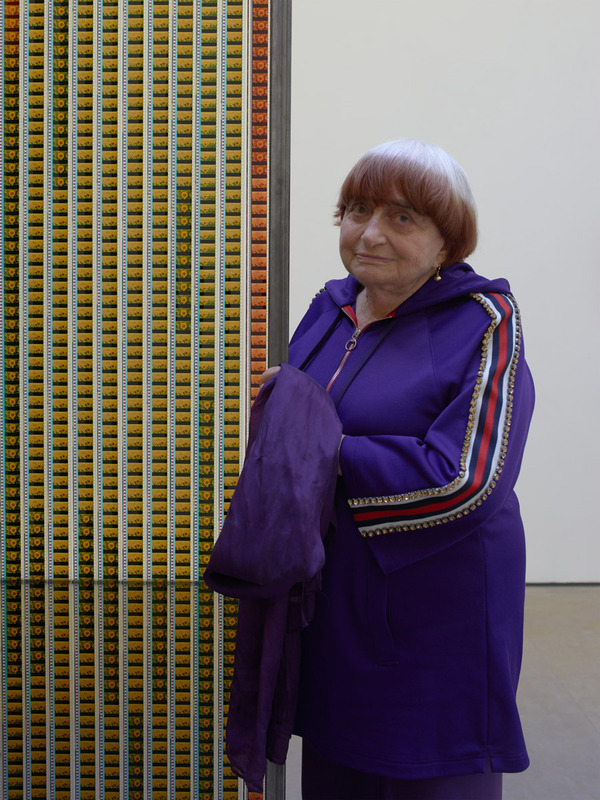 After studying at Paris’s Beaux-Arts school and the Ecole du Louvre, Agnès Varda first set foot in the art world as the official photographer of the Théâtre National Populaire, under the direction of Jean Vilar. Before long she began to move into cinema, directing her first film, La Pointe Courte, in 1955 – a risky enterprise at a time when she had little experience and scant resources at her disposal. 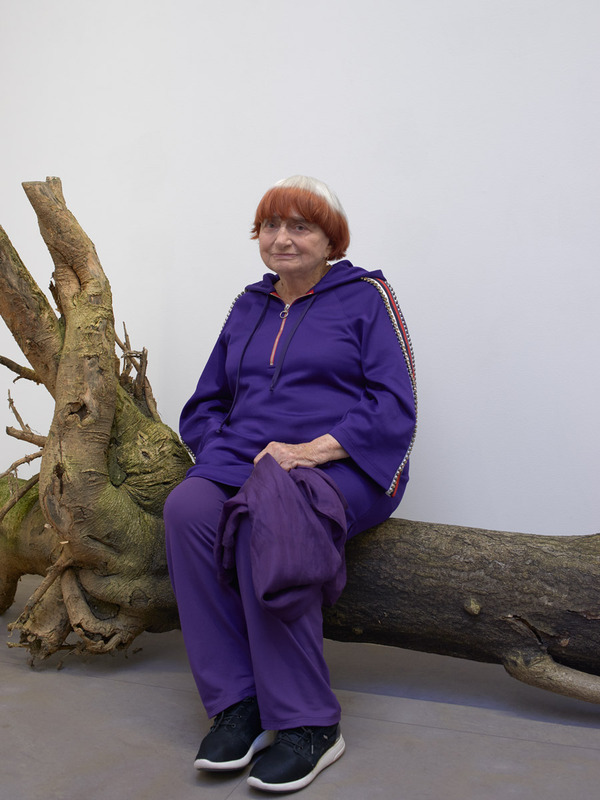 With this film, Agnès Varda caused the first ripples of the French New Wave and imparted ample inspiration to many directors of her own era and subsequent decades. Last year, she received an honorary Oscar in recognition of her vast career, a consecration for a now iconic director whose filmography includes cult classics like Cleo from 5 to 7, Vagabond, and One Sings, the Other Doesn’t, which will be screened at Cannes and re-released in a newly restored version on July 4. 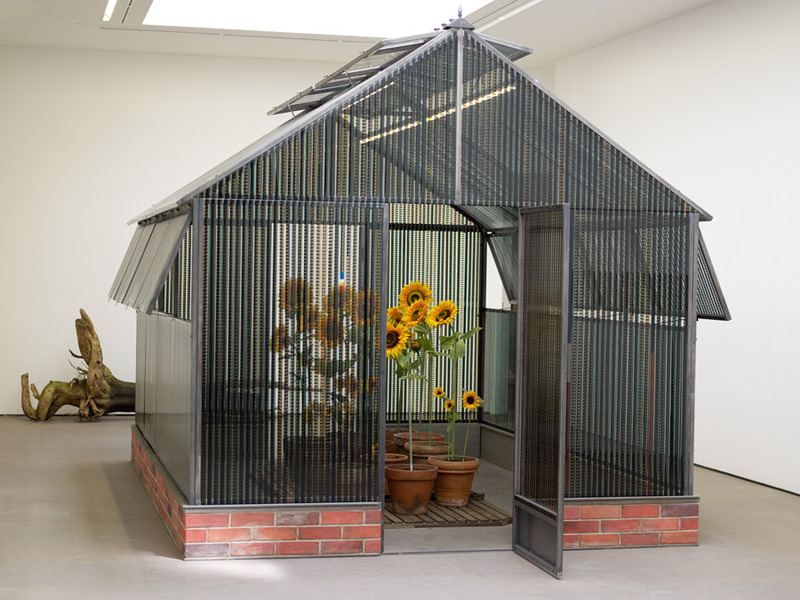 In addition, her exhibition Une Cabane de Cinéma – La Serre du Bonheur at Galerie Nathalie Obadia presents a greenhouse built by the artist using film prints from her 1964 film Le Bonheur. 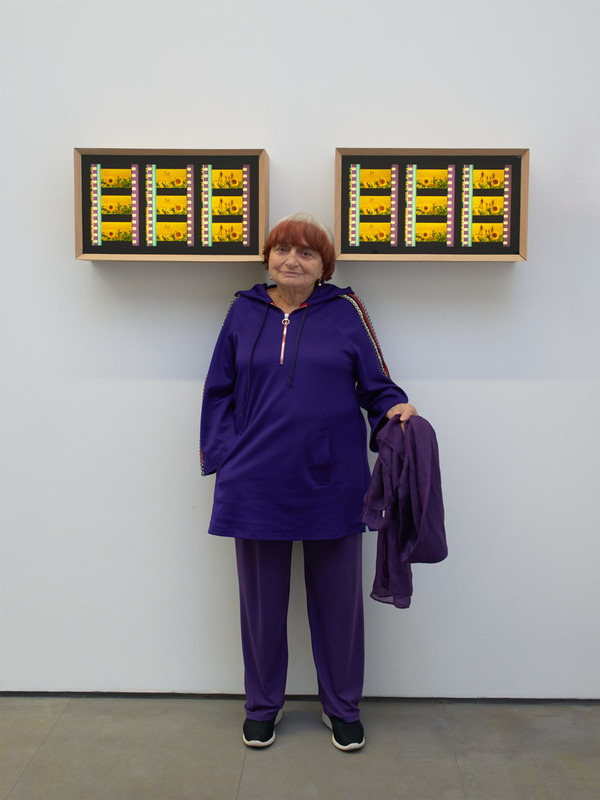 With inexhaustible energy, she continues to develop her work between recycling and nostalgia in an age when technology’s forward march has rendered many of the film industry’s manual techniques and trades obsolete. 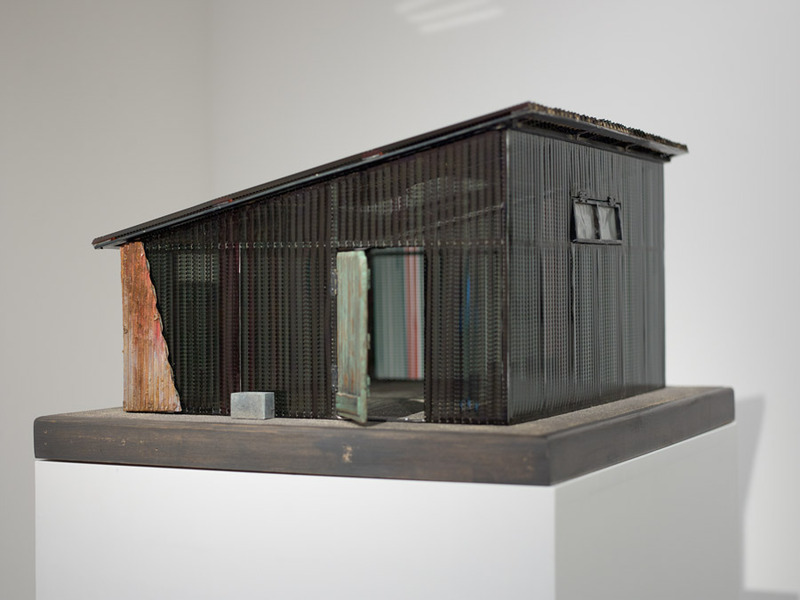 You recently opened your exhibition Une Cabane de cinéma : la serre du Bonheur (“A Shack of Cinema: the Greenhouse of Happiness”) at Galerie Nathalie Obadia. Le Bonheur (“Happiness”) is a wonderful film that becomes even more meaningful inside this shack created from the film prints. 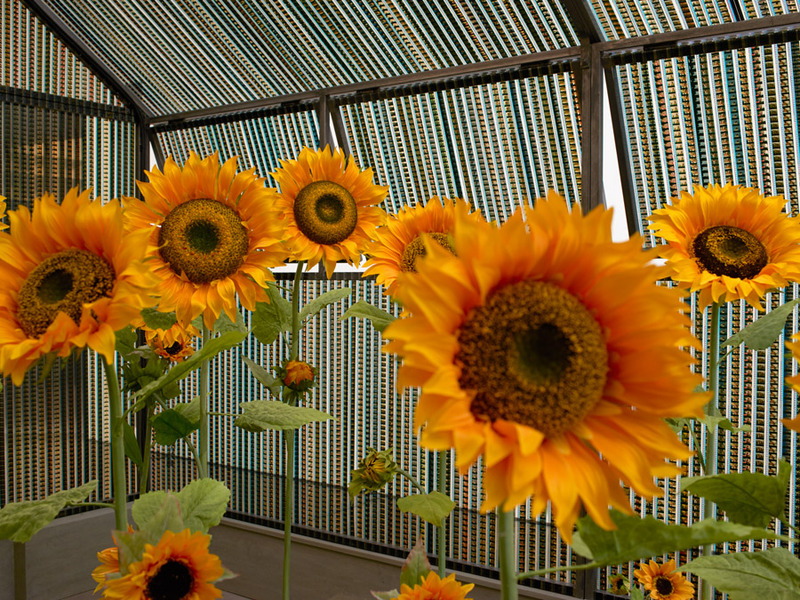 Plants are grown inside this greenhouse, and everything was made from a full copy of the film: 2,500 meters of prints. It’s recycling, both in a sentimental and literal sense. We recycled the actual film, which no longer serves any other purpose, and I’ve also recycled the idea behind the film. Prints are the skin of a film, which means we created an organism that exists on its own. We can “enter” the film, even if it’s only in an allegorical sense. I also produced light boxes from the images of sunflowers shown during the credits of Le Bonheur. “Mozart” is written on one, “Claude Beausoleil” (the director of photography with a magnificent name) on another, and my name appears on the last one. It’s like a mini version of the credits placed inside a box. The idea is to adapt the film to other forms and media. At the same time it creates a link between your work as a photographer and your work as a director. We can discern all twenty-four images per second. Yes, you see them spread out. Since you mentioned twenty-four images per second, in the small back room I’m showing the piece Images Capturées (“Captured Images”), which are two triptychs made from a sequence in Vagabond. In the sequence, Sandrine Bonnaire is chased through a village by monsters in animal suits. 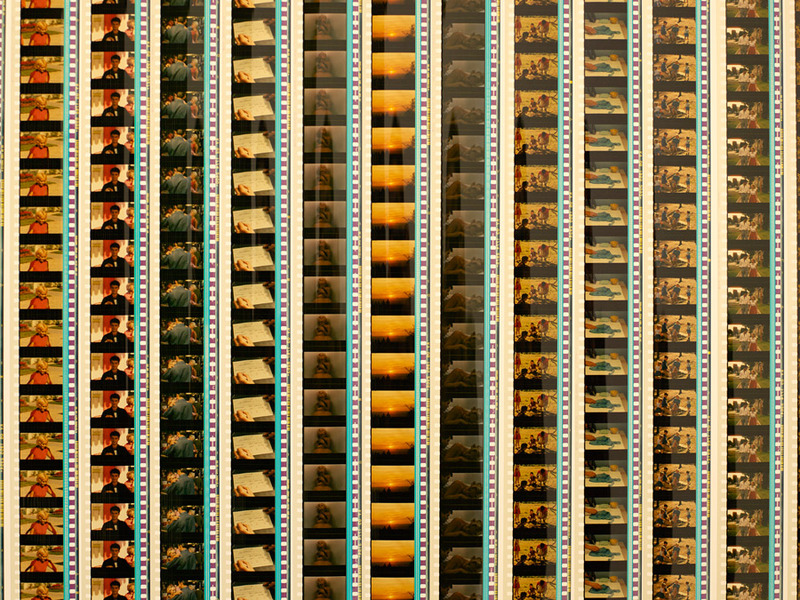 Watching the sequence in slow motion, I extracted a twenty-fourth of an image, six different times. We made a print of each captured image. I find it tremendously interesting because once again it’s a form of mental recycling. Vagabond is fully dissected. You don’t know the story, you don’t know what’s happening, but you are inside the violence, a violence with no explanation. Violence is shown in so many ways today, whether in war movies or sexual relationships. My interest was not in stories of violence, but instead in expressing the feeling of violence. Let’s talk more about the film Le Bonheur. It’s a sun-film shot in the magnificent summer light. But there is also drama and shadow, like Mozart’s dulcet works that contain their own anguish. The film is almost an exaggeration of happiness, or a cliché: a handsome young man, a beautiful young woman, and children. It’s all so cliché, but all it takes is a slight prod for everything to come tumbling down. It was a fragile and almost dangerous film. I said something very cruel at the time: “Everyone is unique but replaceable.” The family unit is important to the notion of society. If the social role is functioning, if there is a father, mother, and children, then the family unit works. If you remove an element, you have to put something in its place. You can’t have a hole… The world is full of holes today. Very easily. Without giving it much thought. I wrote it fast – and I shot it fast, too. I went to see Jean-Claude Drouot, who was the star of the TV show Thierry La Fronde, and asked him to appear in my film. I wanted – I wished – that he would come along with his wife and children. He agreed. And his wife, too. Then we shot the film. Why did you want to present the shack of Le Bonheur instead of the other shacks for Vagabond or La Pointe Courte? The gallery and its glass canopy lent itself more to installing a greenhouse. The tent of Vagabond would have been too small. I think the space inspires what we place within it. The first exhibition I put together was at the Fondation Cartier, imagined by Jean Nouvel. As soon as I saw the vast, light-filled space, I immediately thought of installing a shack made of recycled clear film prints. I had made a film called The Gleaners and I, and so I already had the concept of recycling in mind. Gleaning, by definition, refers to collecting things other people have discarded. Our 35mm prints have been discarded, since we only screen digital files now. One or two theaters have kept the old 35mm projectors out of coyness and use them once in a blue moon. All the prints representing the cinema we used to love have now been discarded. I just had the simple idea of recycling, along with a bit of nostalgia and a desire to revivify these films. We used to need hundreds of iron boxes to transport the film reels and all of a sudden they became useless. I used the boxes to make an arch: L’Arche de Cinéma (“The Arch of Cinema”) is just recycling and my desire to make an entrance arch. When did you start doing art in addition to film? It started with the Venice Biennale in 2003. I was invited by Hans Ulrich Obrist. 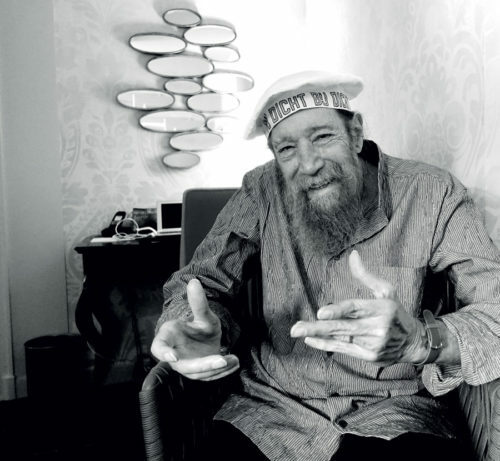 He created a section called Utopia Station where he wanted to invite people who were not labelled as “artists.” He notably brought in the writer Edouard Glissant. It was pure bliss for me. I had already done some photos and videos of potatoes in the shape of a heart. I felt ready when Hans called me. So I exhibited Patatutopia. It was beautiful seeing the big screens with all the heart-shaped potatoes breathing. Now it’s okay to call me a visual artist, since I make triptychs. Fifteenth-century triptychs and altarpieces are a form of art that I adore, because I like how they open and close. And the number three is very powerful. I’ve done several portraits with panels in video, with the middle panel displaying a silver film portrait and the side panels displaying digital images that are full of color and more current. I like combining black-and-white and color, film and photography, stationary and moving parts. It’s impossible to exercise such a visual profession without fitting everything into a larger flow. Alas, in France people think of me as a “great filmmaker” but never as a “great artist.” Certain American museums have bought some of my pieces. There is one of my triptychs at MoMA, and LACMA bought one of my shacks of cinema and a twenty-meter mural piece. In France, the Fondation Cartier noticed me and offered a vast exhibition. Now I’ve had the good fortune to be invited to Galerie Nathalie Obadia, which is such a pleasure. When did you transition from photography to film? I don’t know, I just took the plunge and wrote a script. 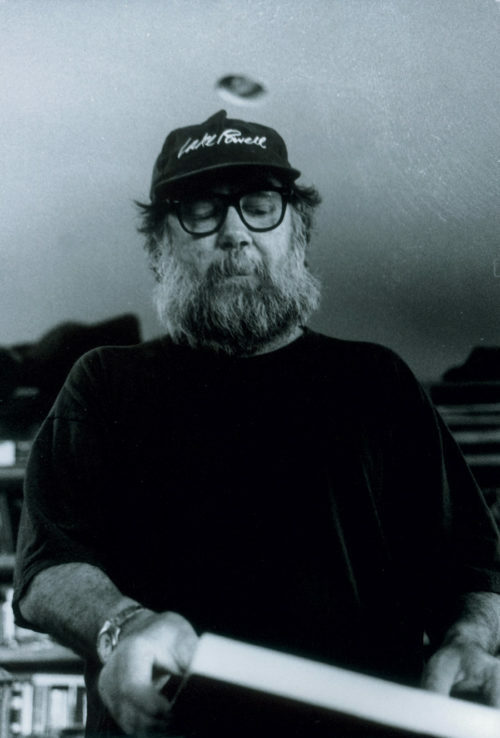 I never worked as an assistant, and I never had any training in film. I had seen very few films, perhaps just a dozen. Now I have marvelous interns who have seen over two hundred films by the time they’re twenty-three. I went to the theater and read a lot of books. But I don’t know how I transitioned from photography to film. Do you have the feeling of belonging to the French New Wave? The New Wave is a name coined after the fact by Françoise Giroud. 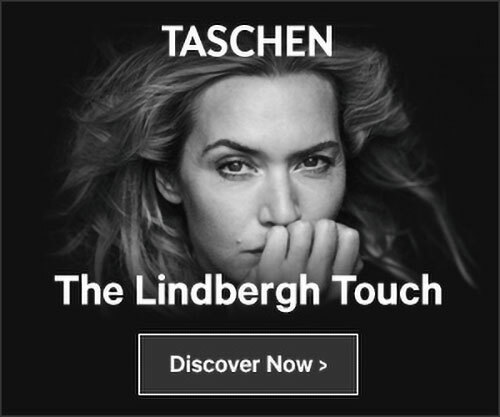 It was never a group or a general theory, instead there were the people from Cahiers du Cinéma, the independents… I started five years before the people from Cahiers du Cinéma. None of that was around yet in 1954. I made my independent film, La Pointe courte, and immediately took an interest in the structure of films. Then there was a crop of stunning directors: Godard, Truffaut, Demy, Resnais, Rohmer, Chabrol. They formed a spontaneous generation. And Marker was the independent. Compared to the cinema that came before, it marked an immense change. It was related to faster film, a desire to shoot on actual locations outside and in the street. And there were new, more spontaneous actors. Saying the New Wave is kind of a shortcut for talking about the cinema of the 1960s. Your film One Sings, the Other Doesn’t from 1977 will be screened at Cannes in the “Cannes Classics” section. In light of recent events, it is quite an interesting film about women. It has a lot in common with recent events because we were helping women dare to speak up… The feminist struggle of the 1960s was first about saying, “Every child a wanted child.” What a wonderful slogan! People don’t realize how violent that era was. Simone Veil made the abortion debate about health. She never pronounced the word “choice” for women. It was a shrewd move. She kept a low-profile about women’s rights over their own bodies, and she focused on the mortality rate among women due to back-alley abortions. That’s how it happened. I protested for the right of abortion! I assisted and aided family planning centers and accompanied women getting abortions. We did all that so we can admit today that contraception is normal and that abortion is an option. I wanted to tell the story of this struggle that I was part of. I already had fifteen years of experience in film, so I wanted to spotlight friendship and solidarity among women. The film shows a strong friendship between two women who meet, lose touch, and reconnect. Their story is dramatic at times. Sometimes these dramas give rise to consciousness and freedom. The film got a lot of people talking, and many people saw it. It cited Marx: “Within the family, the husband is the bourgeois and the wife represents the proletariat.” I have my actresses singing texts by Simone de Beauvoir, Marx, and Engels. I used song to tell the story of this new movement in the film. “When you’re almost a mother, you have to think for two.” You have to become a feminist even before giving birth. In Cannes, the film will be shown on the beach free of charge. I love it: free and for the people. I was raised on the Théâtre National Populaire, so I am in favor of culture for everyone. The film will be re-released in theaters in July. What do you think about everything going on in film today? It’s great. When women get angry and speak out that shakes up the system. We’re going to make a declaration at Cannes and take advantage of the festival’s notoriety to restate that in any form of labor – whether in film or other industries – women must earn equal pay for equal work, including in factories, plants, and business. When I was younger I knew women who went to the factory at seven in the morning and endured a spanking from the foreman. There was no arguing! Things are still hard in working-class environments, and feminism has not won the battle in the country. Even when women work, too. Yes, of course. There is even a song in the film that goes, “Poor mom, with her double burden…” Too often today we look at the question of harassment and lack of respect from the point of view of the privileged classes. It’s an important question. We should encourage women to scream and shout when they have good reason to do so! And men should support them. Things have changed among the privileged classes, but the situation is different among other social classes. It’s together with men that we have made progress and will continue to make progress. 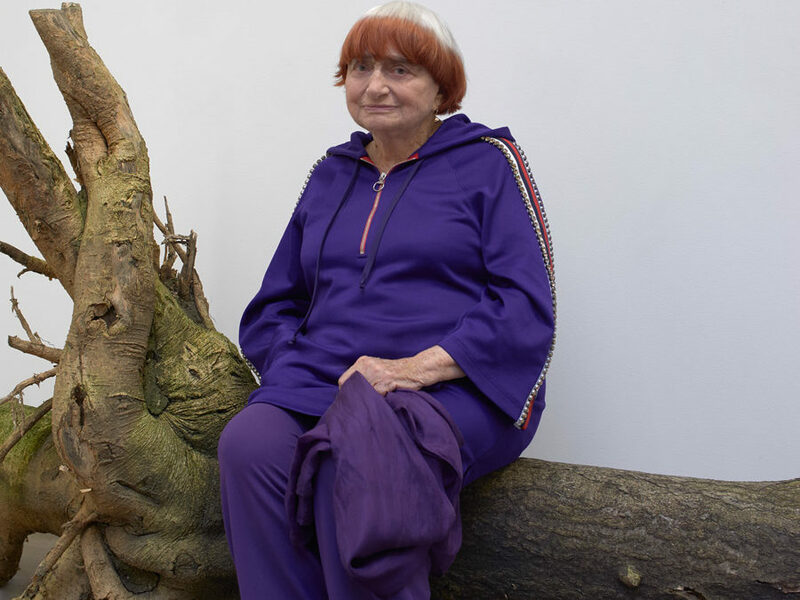 Agnès Varda wears a hooded jersey dress by Gucci.